DEPARTURE TIME Between 8:00AM AM for a prompt departure. WEAR Comfortable light casual clothing, tennis shoes, hat, sunscreen (biodegradable) and insect repellant (biodegradable). Bring a swimsuit, and comfortable clothing. 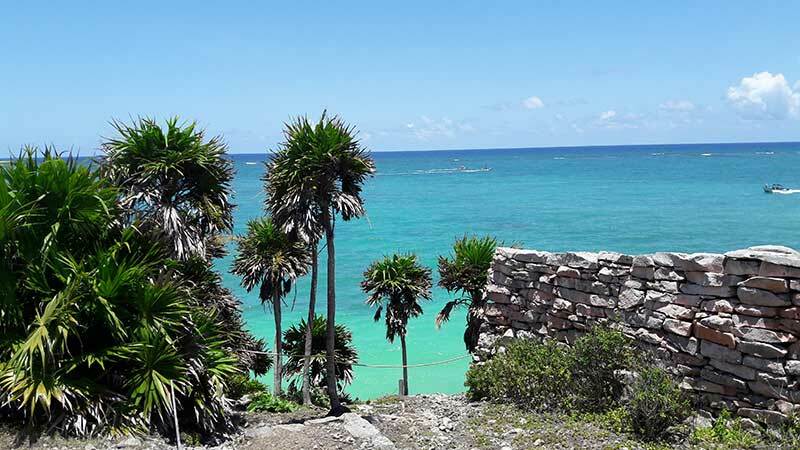 Bestmayatours Professional Guided visit of Tulum Archeological Site. We recommend that you bring comfortable clothes and shoes (sneakers, shoes, sandals ok but flipflops only for swimming area), bathing suit, sunglasses, towel, camera, binoculars, sun protection ( biodegradable, or clothes to aid with sun protection), some cash. Please note that there are no ATM machines in the area, nor do any of the vendors accept credit cards. The guides, drivers, and waitress appreciate tips for their excellent service. It’s also thanks to them that you will leave with many great memories! Explanations about Tulum and Coba origins . Talk about Maya Postclassic Period, Navigation . Lounge on the beach or walk along one of the most beautiful beaches on earth.